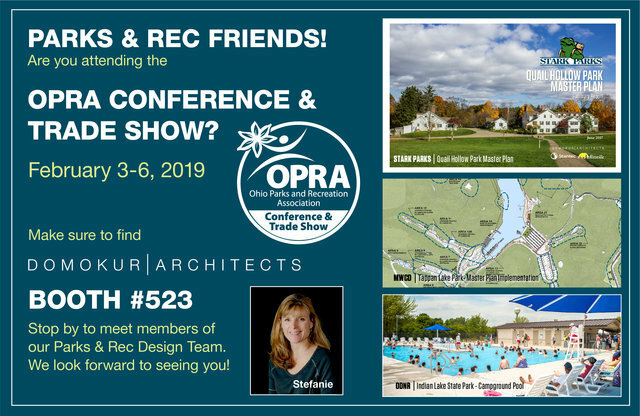 The OPRA Conference starts Sunday, February 3rd! We look forward to meeting you! Please don’t hesitate to contact us to set up a meeting if you will also be in attendance – you can reply to this email, or call 330.666.7878. The Domokur Architects has significant experience in camp, park, and recreation design and offers a breadth of professional services such as master planning, architecture, landscape architecture, interior design and construction management. Having worked with over 450 camp, park, and recreation clients throughout the United States, Domokur Architects is a one-stop shop for camps and parks across the country.